Trip to Nepal 6 days 5 nights Tour program is a short but nice holiday in Nepal features history, nature and culture, adventure activities such as Paragliding and Boating, and ends with a wildlife safari tour in Chitwan. 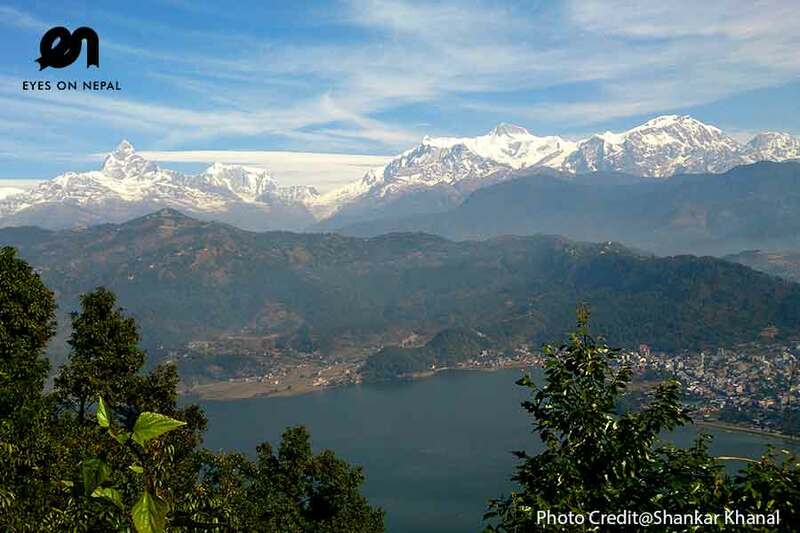 You will visit five world heritage monuments in Kathmandu, before heading to Pokhara, where you will have plenty of time sightseeing, viewing sunrise and Annapurna Himalayan ranges, boating on Phewa Lake and paragliding from Sarangkot. 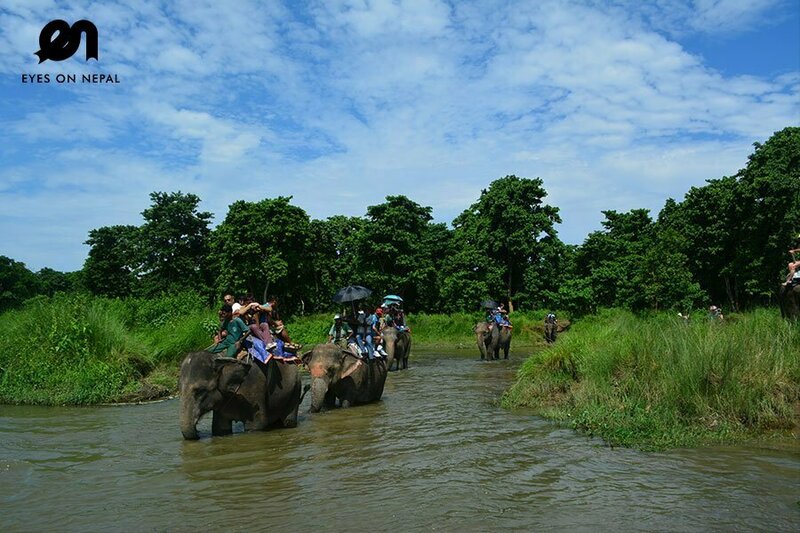 Chitwan National park is home to one-horned rhinos, elephants and Bengal tigers and offers activities such as canoe ride, bird watching, elephant bathing etc. 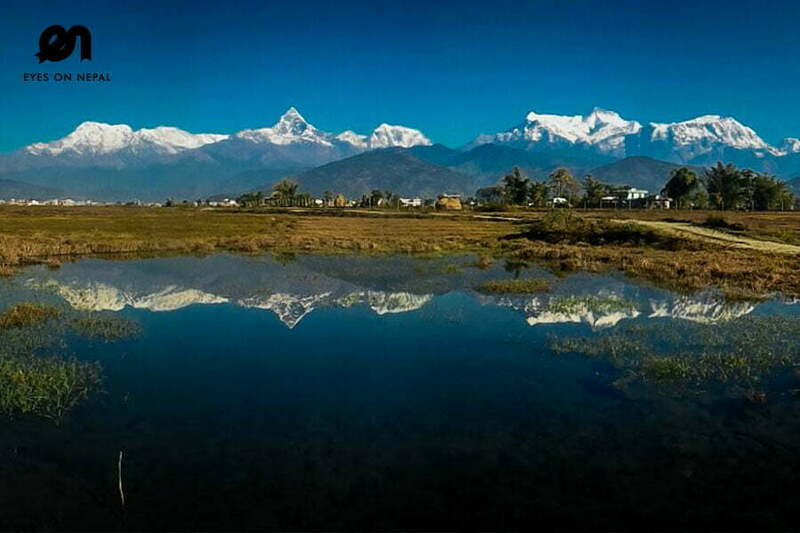 Day 3: Kathmandu to Pokhara - By Domestic Flight! ** YangLing Tibetan Restaurant (MUST TRY: Chicken Thenthuk). ** H2O Café at Hotel Mandap for coffee and bread. ** Places Restaurant & Bar for vegetarian food. ** Bar & live performances – Shisha Terrace Cafe & Bar, Sam’s Bar and etc. Note: You will be dropped at the Kathmandu Domestic Airport. Our staff will drop you at the main entrance gate in Kathmandu Domestic Airport. You will have 30 minutes flight to Pokhara. During your flight time, you will see the amazing view of Mountains like; Langtang, Ganesh Himal, Manaslu, Lamjung Himal, Annapurna and fishtail etc. 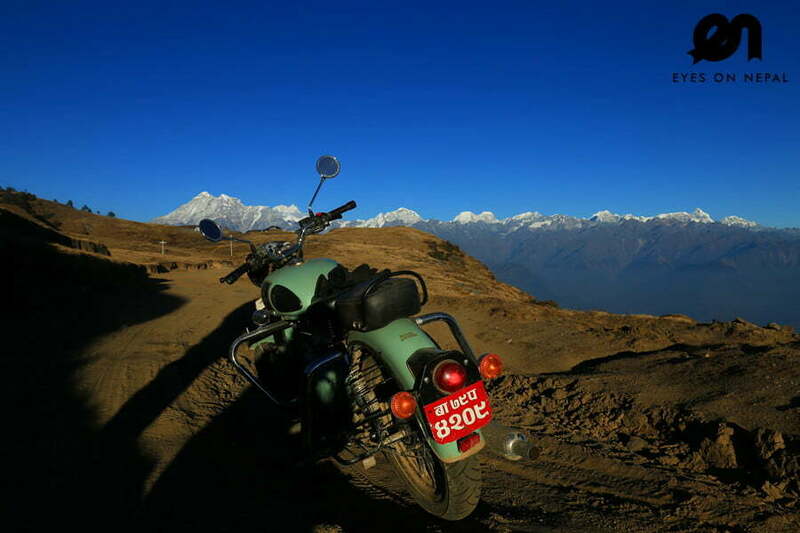 Our tour guide will be in Pokhara airport to pick up you. 12.00 am: You will start your 30 minutes(Max) Paragliding Tour after a short briefing by the pilot. Pokhara in Nepal is the world’s best paragliding spot in the world with amazing view of Annapurna range of mountains and beautiful landscape around Pokhara valley, virgin Mt; Fishtail (Machhapuchhre), LamjungHimal, Annapaurna Himal, Dhaulagiri(The highest mountain in this region, Himchuli, Phewa Lake, Rice field, rivers and settlements. 06.00 pm: Back to hotel. NOTE: Eyes On Nepal recommend Busy Bee Cafe for some night life and drinks. Busy Bee Cafe has the best live music band every night starting at 8pm. 06.00am: Morning call. Gather at hotel lobby. 06.30am: Canoe ride along the Rapti river. An excellent opportunity for Bird Watching and for seeing the 2 rare species of crocodiles; the Marsh Mugger and the fish eating Gharial. Plus Jungle walk and on the way back one can enjoy the elephant bathing. 08.00am: Back to Hotel and breakfast at hotel. 09.15am: Departure to Chitwan National Park bus station. 09.30am: You will catch your bus to Kathmandu. 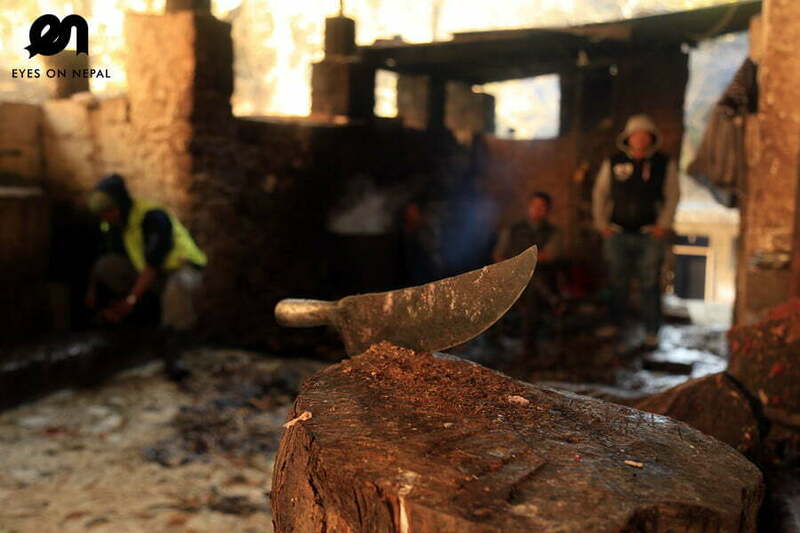 03.00pm: Arrive in Kathmandu and pick up by our staff. 03.15pm: Arrive in Kathmandu. Pick up from bus station and drive to your hotel. 03.45pm: Check in hotel. Rest & relax. 06.30pm: Pick up, dinner at Gaia Restaurant. All land transportation x 6 days. 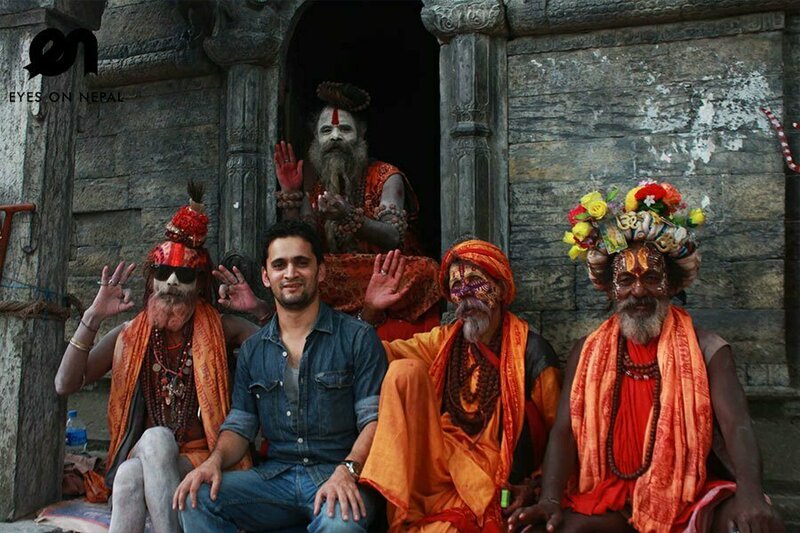 English Speaking Tour guide on Kathmandu, Pokhara and Chitwan.